Cardiometabolic diseases are a group of complex and highly interrelated disorders that contribute significantly to healthcare expenditures. Although substantial efforts have been made to establish controlled clinical trials for treating this group of diseases and associated comorbidities, cardiometabolic diseases are still a leading cause of death worldwide. This is in part due to an apparent disconnect between aspects of drug development and the implementation of new therapies in clinical practice. In order to bridge this gap, quantitative approaches are needed to translate the available clinical trials data into real world clinical settings. Quantitative approaches allow identification of the causes and major risk factors for the disease and establish approaches for preventing early subclinical development of these disorders as well as controlling their progression in their clinically-evident later stages. These approaches further allow for feedback of the lessons learned during the development of one drug into the development of next-in-pipeline drugs, to improve their chances to successfully make it to the market. Therefore, it is crucial to develop translation strategies for integration of available knowledge and transition of drugs from bench to bedside in order to improve the standards of cardiometabolic diseases management and treatment. Health NIo. Definitions under subsection 1 (research objectives), section I (funding opportunity description), part II (full text of announcement). of RFA-RM-07-007: Institutional Clinical and Translational Science Award (U54). 2007. http://grants.nih.gov/grants/guide/rfa-files/RFA-RM-07-007.html. Accessed 4 Jan 2015. Drug Disease Model Resources Foundation. DDMoRe model repository 2012–2018. Available from: http://repository.ddmore.eu/. The BioModels.net Team at the EMBL-EBI U, the Le Novère lab at the Babraham Institute, UK, and the SBML Team in Caltech, USA. BioModels Dataset 2006–2018. Available from: https://wwwdev.ebi.ac.uk/biomodels/. Administration Usfd. Real world evidence 2018. 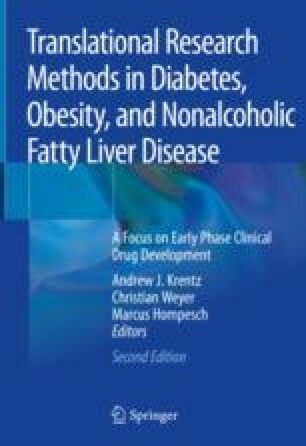 Available from: https://www.fda.gov/ScienceResearch/SpecialTopics/RealWorldEvidence/default.htm.